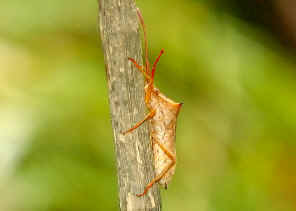 We found a few of these bugs actively flying around near the water edge of a lagoon in Karawatha Forest during later summer Feb 2008. 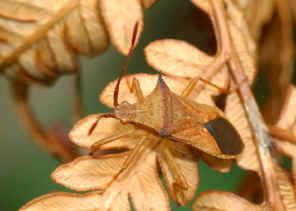 The bugs were horned at the shoulder and orange brown in colour. More pictures and information can be found here.